5 Star Driver Front Crash Rating. 5 Star Driver Side Crash Rating. Child Safety Locks, Electronic Stability Control, Adjustable Pedals, Brake Assist, 4-Wheel ABS, 4-Wheel Disc Brakes, Tire Pressure Monitoring System Safety equipment includes Child Safety Locks Chrysler Touring with Blackberry Pearl exterior and Medium slate gray/light shale interior features a V6 Cylinder Engine with 197 HP at 5200 RPM*. 3.8L OHV SMPI V6 ENGINE (STD), 6-SPEED AUTOMATIC TRANSMISSION (STD). Non-Smoker vehicle. newCarTestDrive.com says - The Chrysler Town & Country offers a smooth ride and an SUV-like view of the road. Great Gas Mileage: 25 MPG Hwy. Pricing analysis performed on 10/15/2018. Horsepower calculations based on trim engine configuration. Fuel economy calculations based on original manufacturer data for trim engine configuration. Hello, I would like more information about the 2010 Chrysler Town & Country, stock# P1436. 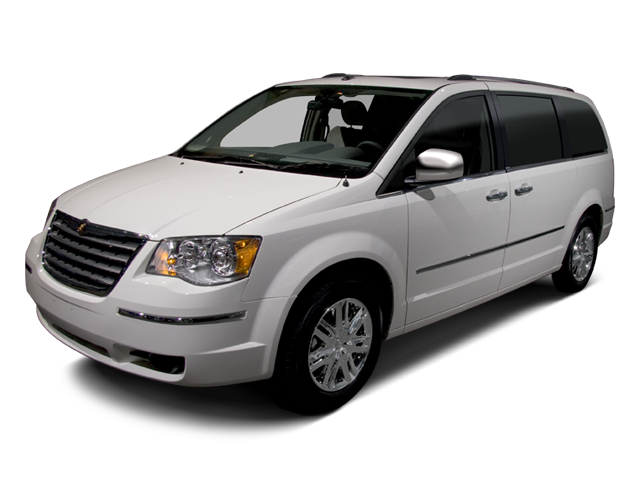 Hello, I would like to see more pictures of the 2010 Chrysler Town & Country, stock# P1436.